On Jan. 6, while visiting Israel, U.S. National Security Advisor John Bolton pressed Israeli Prime Minister Benjamin Netanyahu to cancel a deal with China on a new port at Haifa. This latest case of the U.S. meddling in China's economic cooperation with a third country could seriously undermine China-Israel relations. 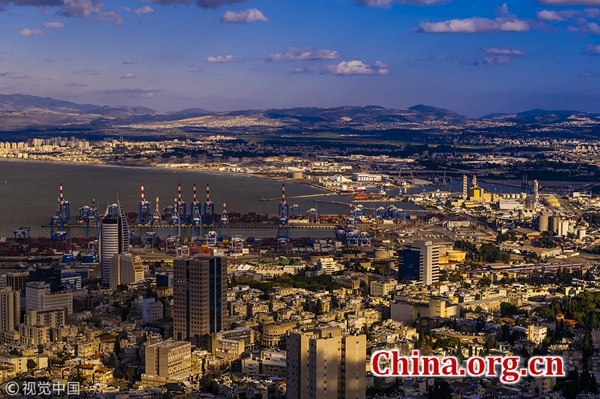 According to reports, in 2015 the Shanghai International Port Group Co. Ltd. won the tender to build Israel's new Haifa port. The project is due to be completed in 2021, after which the Chinese company will operate the port for 25 years. The Haifa project can be regarded as part of China's efforts to promote infrastructure within the framework of the Belt and Road Initiative. And just as with other infrastructure projects in the Middle East and other regions, the project entails strictly an economic cooperation. China believes that infrastructure cooperation should promote trade and development that will ultimately benefit the people and countries along the Belt and Road. Yet within the context of mounting tensions between the U.S. and China, the project became the target of U.S. criticism. During his meeting with Benjamin Netanyahu, John Bolton raised America's concern that China might use the port to improve its standing in the Middle East and potentially gather intelligence on U.S. interests. The Jerusalem Post even suggested that the sixth fleet of the U.S. Navy will change its longstanding operations in Haifa. However, U.S. criticism and concerns are equally groundless. While the official U.S. line is that China is a "strategic rivalry," China talks about building a new kind of relationship with the U.S. and maintains that avoiding strategic conflicts should be one part of that. Within the context of globalization, cooperation has always been an element of China-U.S. relations, and even at the military level the two sides have maintained modest relations. As an example, U.S. fleets in the Asia-Pacific area have long regarded China's Hong Kong as a site of logistical support. Despite tensions, China is always ready to approve docking of U.S. fleets at Hong Kong, the latest being the USS Ronald Reagan in November 2018. The U.S. has chosen to dock there, never expressing a concern that China would collect intelligence as a result. There is another example. China in 2017 built its logistic support base in Djibouti, which is very close to U.S. military base. According to reports, the two bases, as well as those of other countries, are located in a very limited space, yet again, the U.S. never expressed unease about China's military presence. That is to say, the U.S. seems to have little reason to worry about China's hypothetical effort to collect intelligence and is exaggerating the threat of espionage. The only reason behind these accusations in Haifa might be simply that the U.S. is uncomfortable with the expanding cooperation between China and other countries. Or perhaps they just want to find fault with Chinese companies. In fact, this is not the first time the U.S. has meddled in China-Israel affairs. In 1996, the Israeli government led by Benjamin Netanyahu signed an agreement to sell China the Phalcon radar and early warning system, but Ehud Barak's government canceled the agreement in 1999 under U.S. pressure, which finally resulted in Israel's compensation of $350 million to China. In 2004-2005, China sent Israeli Harpy drones, bought in the 1990s, back to Israel for technological updates and servicing. The Israeli government returned the drones to China without being updated, again due to U.S. pressure. U.S. meddling will firstly undermine mutual trust between China and Israel regarding future cooperation. The Chinese and Israeli nations have long cherished their friendship, even before diplomatic relations were formally established in 1992. And in 2017, the two sides were committed to building a comprehensive innovative partnership. But how can a partner so frequently renege on cooperation? It is understandable that Israel cannot stand up to U.S. pressure, but this is unfair for China, who must tolerate this ongoing uncertainty. According to a Jan. 9 report in The Jerusalem Post, some Israeli officials responding to U.S. concerns were rethinking the agreement and talking about moving things backwards. Such an action would certainly hurt the confidence on the Chinese side, though the final decision of the Israeli government is still unknown. This single issue might have limited implications on China-U.S. relations, but together with similar ones, will undoubtedly hurt efforts to maintain positive cooperation between the two countries. The U.S. challenged China's legitimate cooperation not only with Israel, but also with other countries like Sri Lanka and Pakistan. It might be idealistic to talk about China-U.S. cooperation in Israel, but such a collaboration would truly benefit all three parties. As U.S. pressure threatens the China-Israel agreement over a new port at Haifa, relations between all three countries are further undermined by exaggerated suspicions and insecurity.